The Report of the President’s Commission on Combating Drug Addiction and the Opioid Crisis (http://tinyurl.com/yaz9zw6a) has been released. It calls for the Office of National Drug Control Policy (ONDCP) to review federal spending and invest “only in programs that achieve quantifiable goals and metrics.” It does not call for “new money.” Drug courts, to substitute treatment for incarceration, and training for doctors were headlined by the Associated Press (http://tinyurl.com/ydxlahkm). The AMA also mentioned allowing more responders to administer overdose reversal drugs, and “penalties for insurers that dodge covering addiction treatment” (http://tinyurl.com/ybo92to4). Prescription drugs—hence doctors and manufacturers—are clearly the culprits in the lay press. Video of pills pouring off the assembly line run during televised interviews (http://tinyurl.com/ycptmdyy). Radio announcements urge people to clean out their medicine cabinets and bring drugs to collection sites—as if people raid medicine cabinets and then become addicts instead of stealing drugs because they are addicted. The New Yorker ran a 37-page article (http://tinyurl.com/ydya2jga) about the Sackler family, whose privately held business, Purdue Pharma, developed OxyContin and “built an empire of pain.” “The Sackler dynasty’s ruthless marketing of painkillers has generated billions of dollars —and millions of addicts,” writes Patrick Radden Keefe. Long-acting OxyContin was initially hailed as a medical breakthrough, bringing relief to patients with intractable chronic pain. Purdue “carefully engineered” a “shift in the culture of prescribing,” misinforming physicians about the risks, asserted Andrew Kolodny of the Opioid Policy Research Collaborative. Fortuitously, American doctors such as Russell Portenoy of the Memorial Sloan Kettering Cancer Treatment Center were arguing that the use of opioids in chronic pain needed to be de-stigmatized and that reluctance to prescribe because of addiction fears was “opiophobia.” The FDA approved a package insert announcing that the drug was safer than rival painkillers because its patented delayed-release mechanism “is believed to reduce the abuse liability.” Sales reps told physicians that fewer than 1% of patients became addicted, although a 1999 Purdue-funded study was said to show a 13% addiction rate in headache patients (ibid.). Overdose deaths related to OxyContin generally involved patients’ grinding up pills and snorting or injecting. When a reformulated product made pills more difficult to grind up, and it also became more difficult to obtain prescriptions, more people turned to illegal heroin. Purdue has been sued thousands of times for allegedly causing addiction and has always settled. Some dream of obtaining a tobacco company-size settlement—and holding individual family members liable after bankrupting the company. Many physicians who took pain-management courses and believed they were prescribing appropriately in the best interest of patients and in compliance with government standards were aggressively prosecuted. At least one, Dr. Benjamin Moore, is dead of an apparent suicide (http://tinyurl.com/y8e4uxmp and http://tinyurl.com/yaq244st). One, Dr. James Graves, sentenced in 2002 at age 55 to 63 years in 2002 is still incarcerated in Florida; though his sentence was reduced, he has been denied a new trial. His story and many others are told in Prof. Ron Libby’s book The Criminalization of Medicine: America’s War on Doctors (Praeger 2008). Several physicians have written articles for the Journal of American Physicians and Surgeons, including Frank Fisher, M.D. ; William Hurwitz, M.D. ; Michael D. Jackson, M.D. ; B.L. Rottschaefer, M.D., and Samuel Nigro, M.D. (search www.jpands.org). Three-hour CME courses are proposed or mandated in many states. Lawrence Huntoon, M.D., states that the NY course primarily concerns compliance with guidelines and reporting requirements. More physicians are posting notices that they do not prescribe opioids, fearing the Drug Enforcement Administration and licensure boards, and hoping to deter patients who may become violent if denied a prescription. There are indications that law enforcement scrutiny of physicians has recently risen in reaction to drug abuse, write Kelly Dineen and James DuBois in “Between a Rock and a Hard Place: Can Physicians Prescribe Opioids to Treat Pain Adequately While Avoiding Legal Sanction?” (Am J Law Med 2016; 42(1):7–52, http://tinyurl.com/ycudk8nt). They suggest replacing the 4D model of physician misprescribers (dated, duped, disabled, or dishonest) with a 3C model (careless, corrupt, or compromised by impairment). Surely pain management is a legal minefield. While the Commission report ignores Mexican heroin and the transnational drug cartels, it does name fentanyl and new synthetic opioids as a leading cause of opioid overdose deaths, which routine methods may not detect. During his Asia tour, President Trump will focus on North Korean nuclear weapons and international trade, and will address “China’s deadly export to the United States”—fentanyl, also known on the street as “China girl” or “China white” (http://tinyurl.com/y9acvs94). Even more concerning is carfenatil, which is not a controlled substance in China. Up to 100 times more potent than fentanyl, carfenatil has been classified as a chemical weapon and banned under the Chemical Weapons Convention (http://tinyurl.com/y7ywfdw3). Tolerance, or the need to increase dosage to maintain effectiveness, is one of the most problematic features of chronic opioid therapy. This may manifest as hyperalgesia, in which the opioid lowers the pain threshold. Additionally, patients may begin to experience withdrawal between doses. Physical dependence, or the desire to avoid withdrawal, may contribute to addiction in the later stages, whereas a craving for the euphoric effect may dominate in the earlier stages. Continuous long-acting therapy as opposed to pulsed therapy may worsen the tolerance problem. Patients who sign a pain contract—which may be viewed as a contract of adhesion—may be agreeing to severe withdrawal, worsened by hyperalgesia, if the doctor decides to stop treatment. A novel idea for enhancing efficacy, while alleviating tolerance and withdrawal and reducing addictive potential is to combine opioids with ultra-low-dose opioid antagonists such as naltrexone. The dose-response curve in mice is counterintuitive; the enhancement of analgesia and prevention of tolerance occurs in a dose range far below the physiological dose range in which opioid antagonists block opiate effects. This has been shown with ng/kg or pg/kg doses, corresponding to antagonist:agonist ratios of 1:106 to 1:108 (http://tinyurl.com/ya8zho7j). Anecdotally, a physician reported relieving withdrawal symptoms with a couple of drops of a solution made by dissolving half of a 50 mg tablet of naltrexone in 1 liter of water, and diluting that solution 1,000-fold (about 1 ng/drop). Remarkable results were also reported in a patient having an attack of “fibromyalgia,” with symptoms mimicking withdrawal; perhaps endorphins are involved in this syndrome. Dosing is complicated. Low-dose naltrexone, in doses around 4.5 mg, has been investigated for use in chronic pain conditions involving an element of inflammation. The suggested mechanism of glial cell modulation is separate from its action on opioid receptors. There is no FDA-approved use for low-dose naltrexone, which is commercially available only as a 50-mg tablet (Clin Rheumatol 2014;33:451-459, http://tinyurl.com/ybhh2nna). The treatment is so inexpensive that commercial companies could not afford the research needed to gain FDA approval. The Commission report (p. 1) calls for more research into pain mechanisms and opioid receptors, but does not mention low-dose or ultra-low-dose antagonists. He also writes that while opioid treatment has fueled the epidemic, stopping treatment has caused the epidemic of fatalities. One patient, terminated for misuse, was dead within a year. Though naltrexone 50 mg/day is FDA approved for alcohol dependence, it is not very effective. Dr. David Sinclair of Finland tells patients to take naltrexone only before drinking and claims an 80% cure rate, without symptoms (http://tinyurl.com/pmdu53s). Board of Directors: Kenneth D. Christman, M.D., Dayton, OH; James F. Coy, M.D., Lady Lake, FL; Paul Martin Kempen, M.D., Ph.D., Weirton, WV; and Jenny Powell, M.D., Osage Beach, MO. James Vernier, M.D., Hampshire, TN, was appointed by the Board to fill Dr. Singleton’s unexpired term. 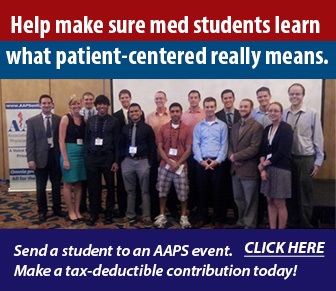 AAPS will continue to propose, review, and critique related model and actual legislative language, and as necessary adopt, at the direction of the AAPS Board of Directors, updated model language as the official AAPS-recommended model legislation; and (3) our AAPS Board consider providing direct financial support, based on available financial resources, to state AAPS chapters that are engaged in meaningful legislative battles to weaken or stop mandatory MOC in their states. More than 3,000 millionaires have left Illinois in recent months, taking their businesses with them, as taxes keep increasing. The income tax was just hiked 32%. About 47% of the people want to leave. The state has $15 billion in unpaid bills, including $800 million in interest (James Cook Market Update, late August 2017). A report by the International Institute of Finance estimated that global government, business, and personal debts totaled $217 trillion earlier this year. That’s more than three times (327%) higher than global economic output: the “granddaddy of all bubbles,” states accountant Doug Noland (Cook, mid-October 2017). Jan 27, 2018. FL chapter annual meeting & golf scramble, Tampa; see www.flaaps.org for details. Oct. 3-6, 2018. 75th annual meeting, Indianapolis, IN. CME Audit Process Update. [P]lease remember to track and collect documentation of educational events throughout the two-year cycle. Pursuant to section 4731.282 of the Ohio Revised Code, if the Board finds that an individual who certified completion of the number of hours and type of continuing medical education did not complete … [it], the Board may permit the individual to agree in writing to complete the [CME] and pay a civil penalty of not more than [$5,000]. Such an agreement…is offered as an alternative means of resolution to that of a disciplinary proceeding under section 4731.22 and Chapter 119 of the Revised Code. An arbitrator has ruled that 30 hospitals in Ontario, Canada, will no longer be able to use the “vaccinate or mask” policy to boost influenza vaccination rates. The nurses’ union complained that it violated medical privacy. Moreover, it was not science-based. It did not actually protect people; it was just a method of shaming and coercion (http://tinyurl.com/y835mt75). The physician generally learns of the inquisition from a subpoena or a notice of inquiry. The cause of the action could be a complaint—or it could be randomly generated. “Do not make the mistake of giving these errant boards anything more than requested,” Dr. Davis warns. He observes that “paper compliance is one scheme these administrative entities use to deprive physicians of medical licenses. Another is the use of the term standard of care. Embedded in Tort law this phrase has been abused beyond reason. Most repugnant is irrational regulatory structure legislated into law against physicians for the purpose of micromanaging a physician’s practice.” (http://tinyurl.com/y8xsxykm). 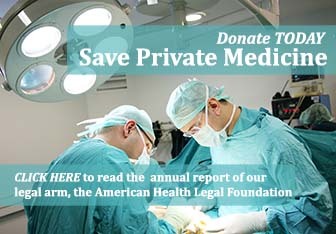 A new website www.medicalboardusa.com intends to support physicians “who are under the duress of a medical board intervention or a malicious malpractice case.” Articles currently posted concern the Maryland Board of Physicians. Of special interest in the approximately 23 states that have legalized marijuana in some form are the civil and criminal penalties physicians may incur for prescribing it (http://tinyurl.com/y78kyoyz). Under federal law, prescribing marijuana is still a felony, although federal prosecutors have—for now—not been filing charges. Beware of rules invented after the fact. !Tip of the Month: Beware of California AB 72 coming to your State. This bill, signed into law last year by Gov. Jerry Brown, imposes price controls and a mandatory, binding arbitration scheme on all physicians, even those who have not signed any contracts with insurance companies. AAPS is challenging the constitutionality of this law in federal court (http://tinyurl.com/y8bkfelm). Already physicians are seeing reimbursements decrease, and this harms in-network physicians because they lose the leverage of being able to go out-of-network. Other States are considering versions of this law under the pretext of ending “surprise billing.” In fact, the genesis of this law in California had nothing to do with surprise medical bills, as our General Counsel explained at the federal court hearing in Sacramento on October 19. Daniel Horowitz writes that “the Fourth Circuit Takes Control of North Carolina” (http://tinyurl.com/y7swotrs). It has been “erased as a state,” its right of self-determination voided. Every single districting map, down to county school board maps, has been erased in the middle of an election season, “rendering elections moot.” The Court has also vetoed the will of the people on transgenderism, voluntary public prayer, and voter integrity. At the time of George III, the principle of sovereign immunity meant that the king could do no wrong. Any royal officer could, however, be sued or prosecuted. British courts did not allow officials to plead that they were just following orders because the king could not even think of a legal wrong. Massachusetts Bay colony prosecuted the redcoats who fired on the crowd at the Boston Massacre (the Incident on King Street). In the 19th century, American courts began to rule that federal officials could not be sued or prosecuted, no matter how much they harmed citizens. David T. Hardy describes a number of examples, including the 1947 Texas City Disaster, in his book I’m from the Government and I’m Here to Kill You: the True Human Cost of Official Negligence (http://tinyurl.com/yck3nesb). Milton Friedman wrote that the collapse of any civilization was evidently preceded by a surge in the size and power of government. Harry Truman said: “Whenever you have an efficient government, you have a dictatorship.” Our Founders’ solution, writes Richard Maybury, was to create a government, then cripple it. The federal government contraption was deliberately designed to be stupid and divided. In 1856, congressmen brandished guns. In 1858, 30 congressmen went at each other in a full-on brawl. Hatreds were so extreme that gridlock was the norm—and the country made enormous progress (EWR, August 2017). No Right to Work. A new law in Illinois strongly resembles California AB 72, which makes it effectively illegal for doctors to opt out of insurance networks by forcing all doctors to accept fees set by insurers. In July, the Illinois legislature passed the deceptively named Collective Bargaining Freedom Act, which makes opting out of unions a crime. Local officials who enact a right-to-work zone could face up to a year in jail (WSJ 10/25/17). “agency fees” to a union whether or not they belong. The takings by AB72 essentially force doctors to pay the equivalent of union dues to insurance companies. Freedom to work is under assault. 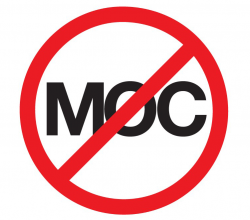 Taxpayers Support MOC. At one point, Medicare paid physicians more if they participated in Maintenance of Certification. That ended, but the American Board of Medical Specialties (ABMS) is hooked into other areas of physician reimbursement. Physicians can use some MOC activities to meet MACRA requirements. Hospitals have apparently persuaded ABMS to dovetail MOC with “quality improvement” activities that affect hospital payments. And $347 million from taxpayers foster collaboration between the hospital cartel and the certification cartel through Hospital Improvement Innovation Networks (HIINs). Medicare Pays for Over-diagnosis. Patients referred to me for a general surgical procedure these days generally have a frightening long list of additional diagnoses. Under MACRA’s Quality Payment Program, sicker patients mean a smaller penalty for a bad outcome, and a bigger reward for a good outcome. An entire cottage industry has arisen to counsel physicians on how to profit under the new rules. (http://tinyurl.com/ycop66br). If boulders are placed in the middle of the stream, water finds a way around them. MACRA is a cluster of boulders. Who Will Make Medical Decisions for You? Families can face a major struggle over who makes medical decisions if a loved one is incapacitated. No matter how old, patients should have a durable Power of Attorney. The State may designate the priority of surrogates in the absence of such a document (e.g. spouse, adult child, parent, sibling, close friend)—see http://tinyurl.com/ydbsf525 for a summary, but it might not be your choice. ACA a Gold Mine for Insurers. In the second quarter of 2017, the top six insurers netted $6 billion, a 29% increase over last year. Plans are decreasing their exposure to the public exchanges, but growing the claims directly or indirectly paid by the government, especially Medicare and Medicaid managed care. Opposing Goals. Congress is not interested in an efficient system, but in making people dependent on the federal government. The path to broadening access is not increasing the number of people with health insurance but in reducing costs. For this, only a market-driven system at the expense of insurer profits and government control will work. First, consumers must be equipped to consider prices. The ambulance argument doesn’t hold. Only 6% of spending is for emergencies. For privately insured adults under age 65, 60% of spending is for elective out-patient care. Drug-abuse Treatment Suppressed. Until I was ensnared by the government’s “Pain Decade 2000-2010,” propoxyphene (Darvon) was, with rare exceptions, the only pain medication I used. Over the years, I had at least a dozen patients tell me that they hadn’t used heroin or other drugs while on my propoxyphene. They begged me to keep them on it because “I don’t want to go back to the street.” Curious, I discovered old studies reporting its benefits close to those of methadone for reducing heroin use; there was debate as to which medication, propoxyphene or methadone, was better. The addictionologists chose methadone, which they had a monopoly to use. Were the anti-addiction benefits of propoxyphene censored to enhance patient volume at their new methadone clinics? My discovery of the benefits of propoxyphene was purely fortuitous, and addictionologists did not believe me. I wrote the FDA about my findings with propoxyphene and was encouraged to use and study it. Then it was completely taken off the market in 2010 for alleged heart problems. Effective drug abuse treatment will require major changes. Without Alcoholic Anonymous, the success rate of addictionologists is likely close to that of control groups. Propoxyphene must be brought back—it was used for 50 years. Some chemical modifications may be valuable for its drug-abuse effectiveness. How Government Works. Quoting William DeBurgh, government (1) breaks your legs, (2) sell you a wheelchair, (3) taxes that wheelchair, (4) regulates the use of that wheelchair, (5) assures you that without government you wouldn’t be getting around so well.